A busy London street with pedestrians and an omnibus. William S. Brunton (fl. 1859-71), artist. Fun 2 (11 April 1868): 47. Courtesy of the Suzy Covey Comic Book Collection in the George A. Smathers Libraries, University of Florida. Click on image to enlarge it. April seems to be rather chilly, since the two men at lower right wear scarves around their necks. 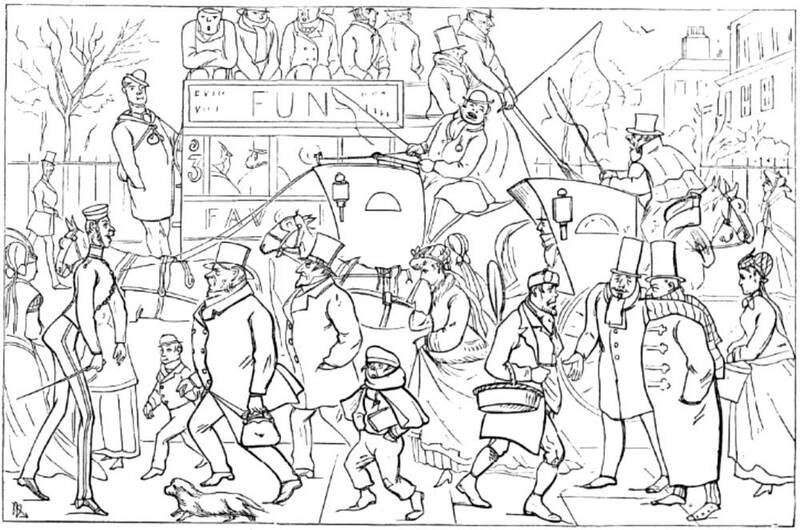 At the center we find an omnibus, which often serves as the subject for Victorian cartoons.